On a barge the colossal triade of the temple of Heracleion has been raised together with the assembled fragments of a huge stele. 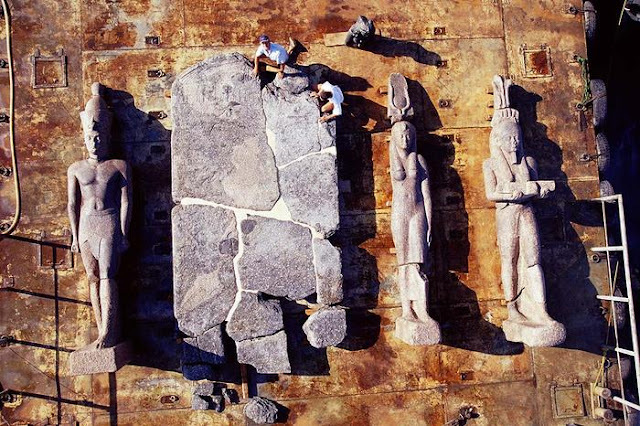 The pharaoh, the queen and the god Hapi are represented in red granite. 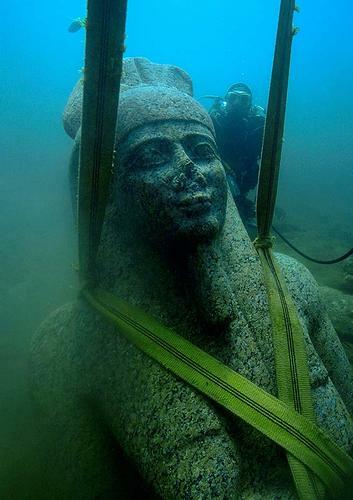 All about 5 meters high, dated to the 4th century B.C. The red granite stele (found in 17 pieces) is assembled. 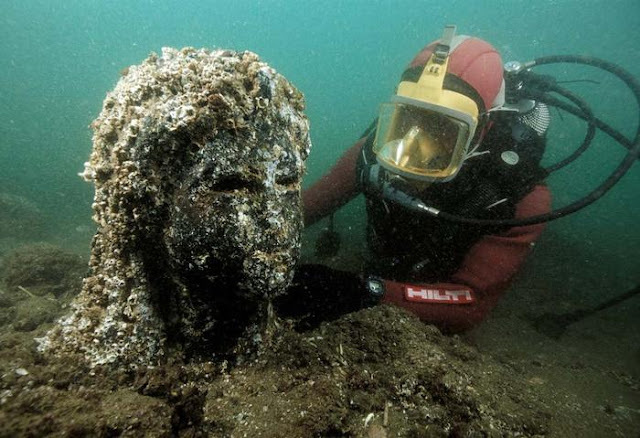 It dates from the 2nd century B.C. 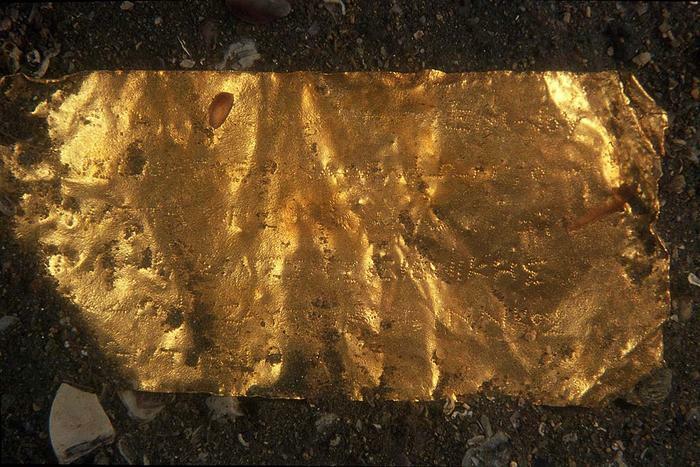 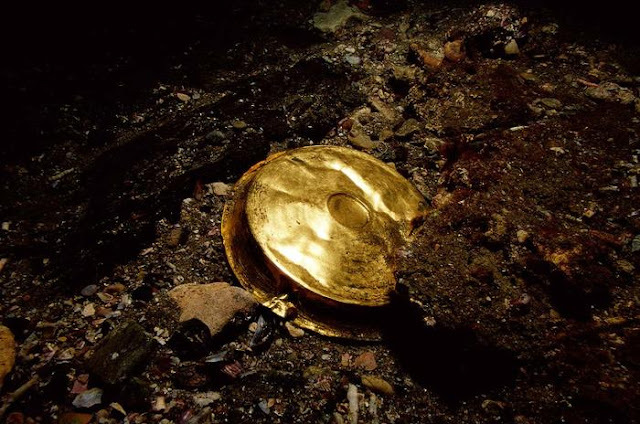 This gold object (11 x 5 cm) was found during the preliminary exploration of the southern sector of Heracleion. 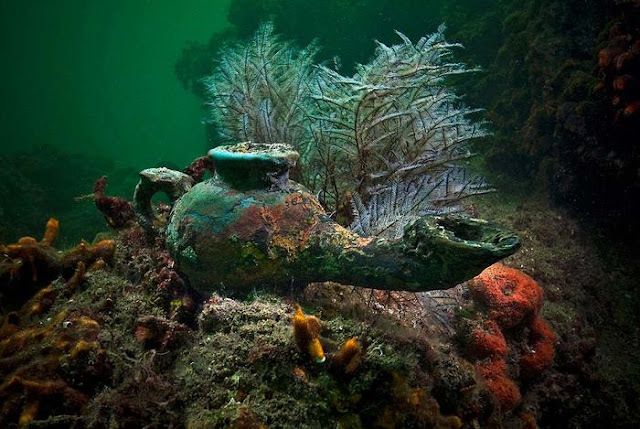 It is engraved with a Greek text of five and a half lines. 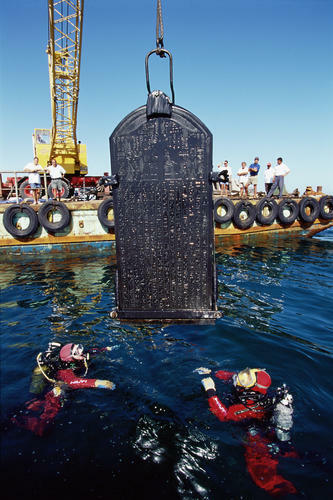 It is an example of a plaque that act as a signature for foundation deposits in the name of the king, Ptolemy III (246–222 BC), responsible for building. The stele of Heracleion (1.90m) had been ordered by Pharaoh Nectanebo I (378-362 BC) and is almost identical to the stele of Naukratis in the Egyptian Museum of Cairo. 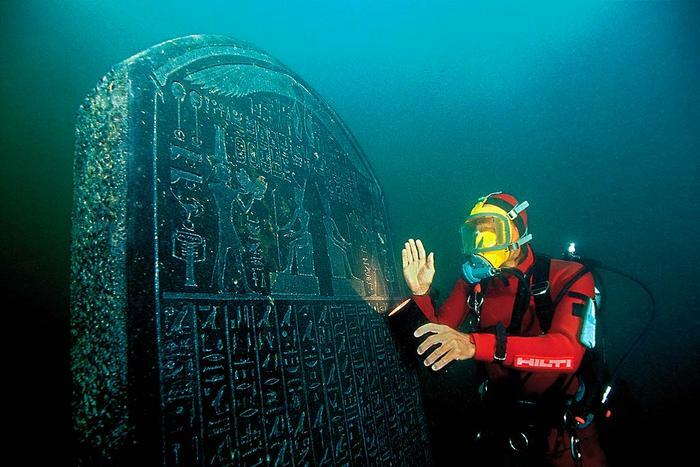 The place where it was supposed to be erected is explicitly mentioned: Thonis-Heracleion. 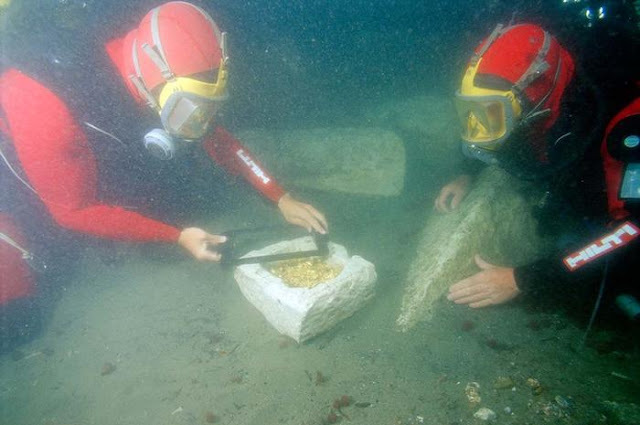 Franck Goddio is inspecting a stone with gold fragments (6th-2nd century BC). 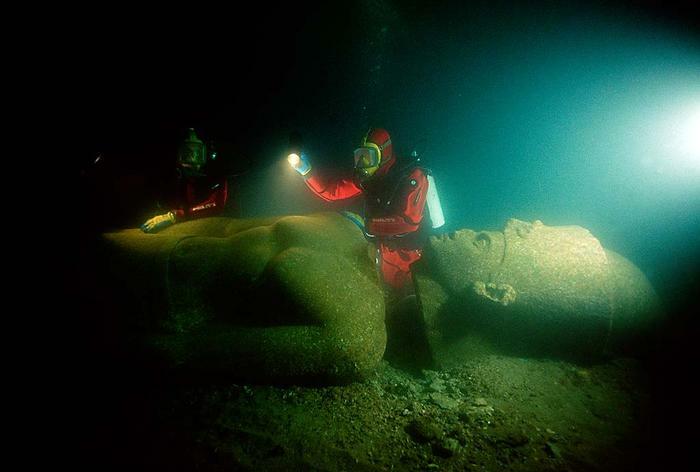 A colossal statue of red granite (5.4 m) representing the god Hapi, which decorated the temple of Heracleion. The god of the flooding of the Nile, symbol of abundance and fertility, has never before been discovered at such a large scale, which points to his importance for the Canopic region. 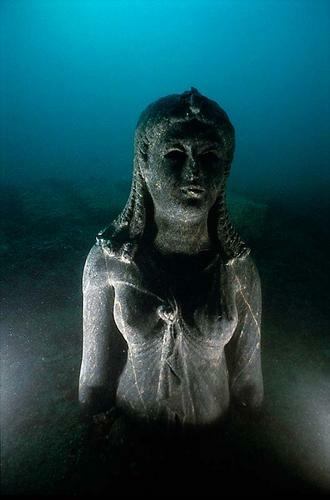 One of the finest finds from the bay of Aboukir is a remarkable Graeco-Egyptian product of the Ptolemaic era – a statue of a Ptolemaic queen in dark stone. 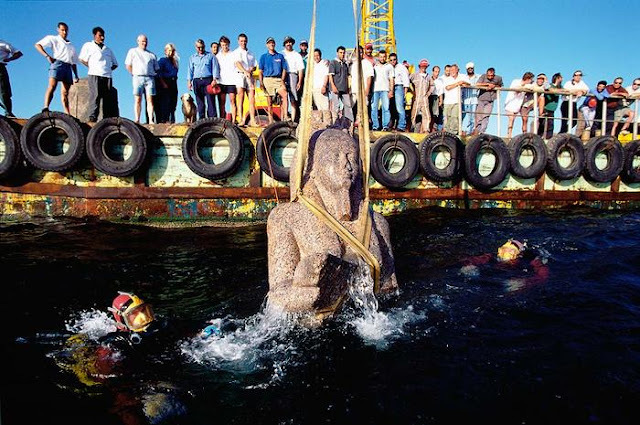 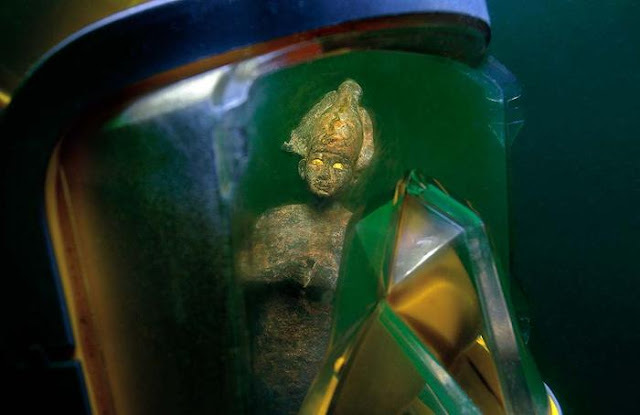 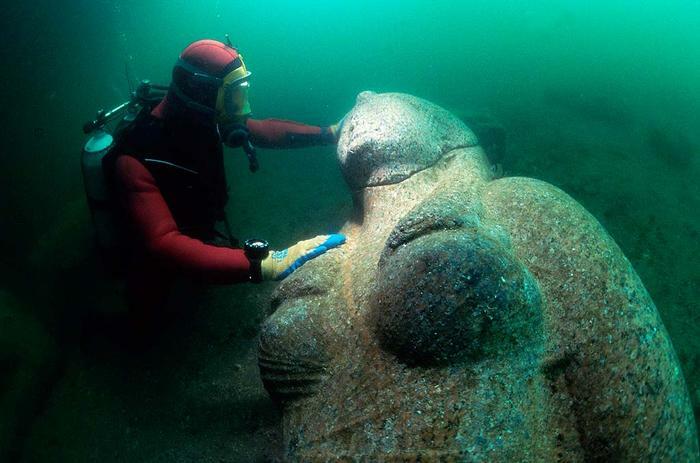 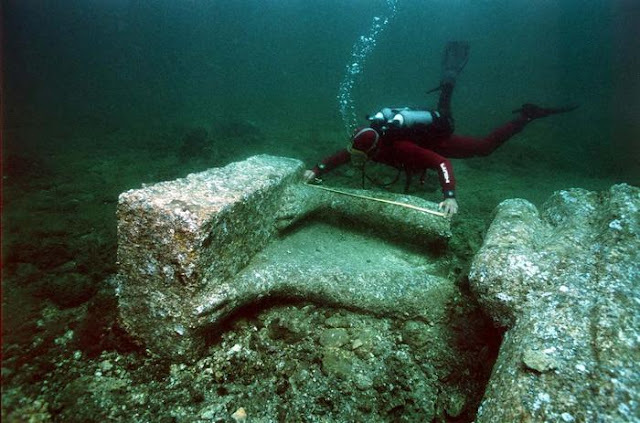 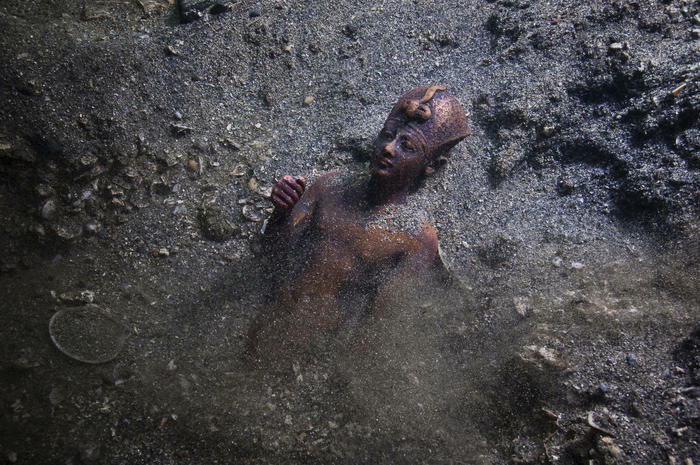 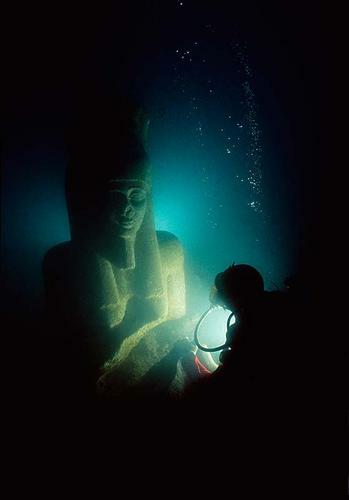 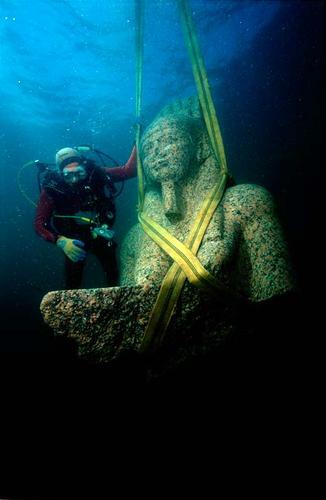 Found at the site of Heracleion, the statue is certainly one of the queens of the Ptolemaic dynasty. 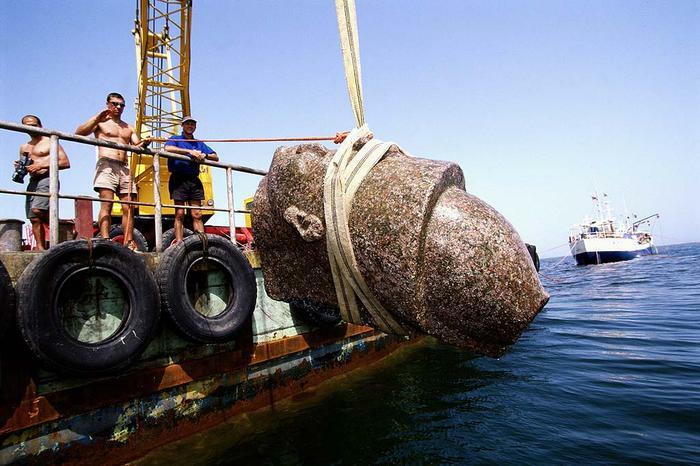 Most likely, a representation of Cleopatra II or Cleopatra III, dressed as goddess Isis. 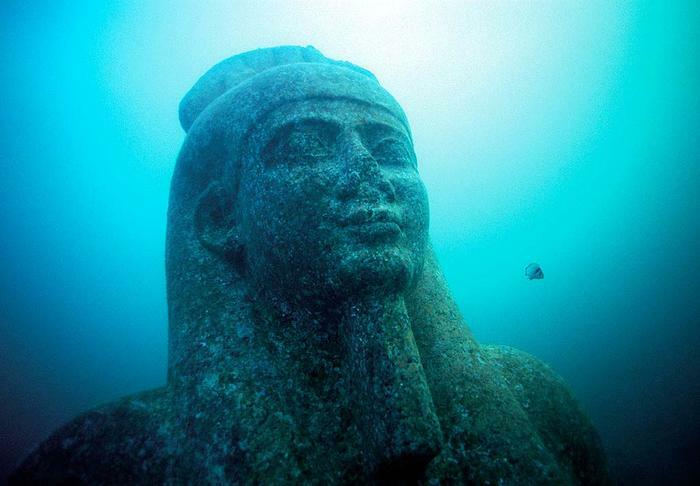 3 responses to "Lost Egyptian City(20 Pics)"
Gods bless you for this achievment.